“I started going to Curves gym,” my 88-year-old grandma told me last week. “And I asked them, ‘Which curves should I gain, and which curves should I get rid of?’ ” As long as I’ve known her, Viktoria Dreyzen has had her easygoing, almost child-like sense of humor. She certainly doesn’t have a lot to worry about. A 20-year-old Ukranian student from Portland State visits regularly, to help with household chores and grocery shopping. She visits the senior center once a week, to get some exercise in a relaxed Tai-Chi class. “Tai-Chi is a martial art,” she said. “But we move so slow, there’s no way we could ever hurt anybody!” My dad visits her almost daily for tea, food, and the 6PM news; when my brother and I are in town, we join as well. Grandma lives an altogether relaxed life in her small, cozy Beaverton home. All has not always been well, though. Grandma’s present is the culmination of a difficult and storied past, as a chemistry student in Russia and as an American immigrant. Her success is a testament to the continued vigor of the American dream. I have only one memory of Ilya Samoyilovich Dreyzen. I was no more than four. Ilya was a distant, oppressive figure in the back of an enormous room. My grandfather never spoke to me personally. Ilya was to die soon after. 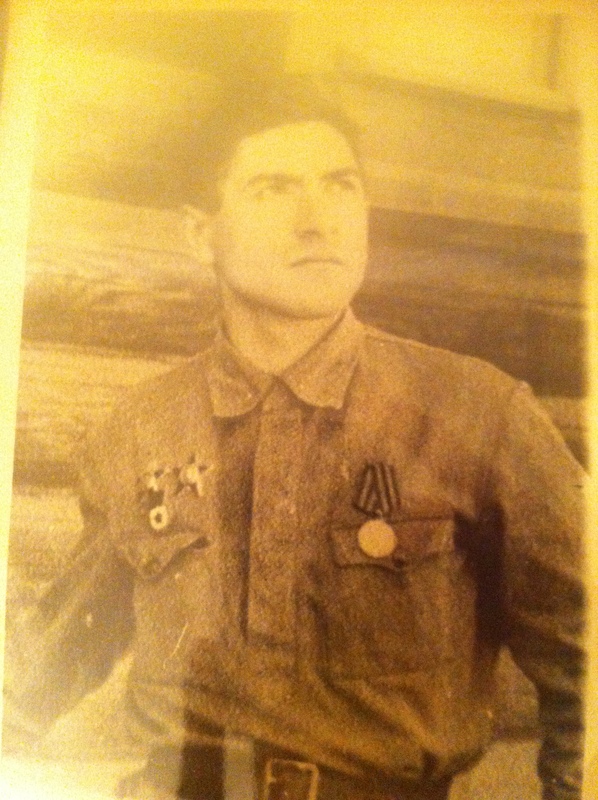 My father spoke on the phone in Russian in the airport; he hung up the phone and a tear slid down his rigid face. I understood that something deeply affecting had taken place. Through conversations over the years with my grandmother, Ilya’s full life story has begun to emerge. Ilya Dreyzen was towering and great. He was a war hero and a PhD. Behind this imposing man, I’ve found a fascinating and troubled history. I never got to know my grandfather; he passed away from Alzheimer’s when I was young. Only later, after I developed my own interest in neuroscience, did I learn that Irving T. Diamond was a towering figure in the neuroscience world. I can only hope to someday equal his legacy—and I’m not just talking about his accomplishments in the laboratory. He was loved by his colleagues, students, family, and by the entire scientific community.